This may be your greatest opportunity to honor Jesus and model something/Someone better for your particular congregation, franchise, community, state, nation, and world. In a world that bruises, beats, batters, and butchers, you have an opportunity to show how people can come together, remain together, and move into the future together unafraid in/through/for Jesus. Not people who love Jesus. And you, as elders and deacons and Sunday School teachers and pastors and members, are called, depending upon His grace, to pray and labor to imitate His mercy, grace, forgiveness, and agape. This is your kairos moment - a divinely appointed time for you to show how you are different from the world and how Jesus keeps you together. This is no time to quit. This is no time to give up on each other or anyone, like you, trying to love Jesus by praying and laboring to love like Jesus. What a terrible, awful, unfaithful, and...witness to Jesus! When I first arrived in Belvidere over ten years ago, I often said, "Please do not tell anyone that I'm your pastor; because I don't want people to think you got your irascible, irregular, and irreconcilable behaviors from me...Please do not invite them to join us for anything until you confess, repent, and start acting out your faith instead of just mouthing it like you mouth meaningless litanies in worship...If you're not going to act like Christians, don't pretend that you are...If Jesus has not changed your desire to get along with each other and others and live lives of strong calm sanity, how can you have the audacity to tell others what Jesus can do for them that He, obviously, hasn't done for you?..." While we've still got challenges on the corner of L&M, it's a heaven of a lot better than it used to be since we stopped blaming Jesus for some "Christians" who, obviously, need lots more of Him in their confession, conduct, and countenance. Rap yourselves around Him in a Psalm 1 kinda way. When necessary, remember we are the people of 1 John 1:5-10. Be willing to say, "If I am wrong by the example of Jesus, Holy Scripture, and common sense, please tell me so I may confess, repent, and our relationships may be restored." Be eager to share/ask/invite, "I was wrong. I am sorry. Please forgive me. I love you." I've survived undershepherding aka pastoral ministry for about four decades; and as you've read if you've been reading recent editions, I am more excited and enthusiastic for more than ever before. The overwhelming majority of my seminary classmates and peers and...have not and are not. If you scroll way down, you can read how I've survived. In short, it's been a Psalm 62 thing pour moi. Whenever I write/talk about this kinda stuff, somebody thinks I'm having a self-pity party or something. Cynically, people assume I'm venting or "working out" some particular vocational, personal, or whatever challenge. O.K., the ticket for using a cellular while driving and being afraid of you-know-who when it comes to the inspiration/indigestion regarding Je suis Charlie have kinda bummed me out. Yet, really, I've never really considered quitting, running away, cashing in, or trying out for the Yankees again. While I've had a few low moments since May 8, 1977 - most self-inflicted and some from the enemy through accomplices in sheep's clothing infiltrating church membership rolls - I've never had my joy in Jesus and His calling me to undershepherding distracted or even dissipated for more than 24 hours. I just know lots of sisters and brothers in similar gigs are quitting or considering quitting and there are some ecclesiastical superiors and congregational supporters who care and wanna help. The Rev. Mick Snider wrote The Need for Ministry to Ministers that starts, continues, and concludes in the next section. I got it from one of Pastor Snider's friends who just happens to be one of mine. I got permission from both to share it with you. Pastor Snider is a Pentecostal Holiness pastor. Recently, he was, uh, forced out of his church; and now he is preaching revival and evangelistic services along with writing redemptive things like this. In the United States, research indicated 1,800 ministers leave the ministry each month. New Horizons Ministries (NHM) is a regional ministry of the International Pentecostal Holiness Church (IPHC). NHM provides training and leadership to ministers and churches in eastern Oklahoma, Arkansas, Missouri, and Kansas. The purpose of this project was to analyze the job satisfaction of ministers who hold either a Minister’s License or Certificate of Ordination with NHM and the IPHC in order to determine if they were at risk of abandoning the vocation of helping people through Christian ministry. The research design for this project was a needs analysis in which a survey was used. The data source was comprised of a sample size of 50 ministers and spouses who responded to a survey of 20 questions. The survey was administered by an ordained minister who assured the respondents of anonymity. The raw data was collected during an annual NHM Minister and Spouse Retreat in October 2008.
through Christian ministry. Also, there was no significant difference in total scores between the ministers and their spouses. However, a major shortcoming of the study was that the data were collected at a retreat in which the participants may not have felt comfortable revealing their true feelings. With that shortcoming in mind, 3D sequential graphs and drill downs revealed the peaks and valleys view of the scores of the ministers and their spouses. Exploratory analyses, including an importance plot, a box and whiskers plot, and main effects ANOVA were conducted to show the seeming most significant responses. Suggestions for future research and hypotheses were given. This study was not to be considered as confirmatory. He was referring to the disappointments, defeats, disillusionments, tests, trials, temptations, and tribulations of living in an increasingly mean, maddening, and miserable world, country, and…[Gulp! ]…even church. Simply, Jesus saves…if we let Him. better as I receive forgiveness from Him and His. In short, I have survived it because of my increasing intimacy with Father, Son, and Holy Spirit, expecting nothing from most people, expecting everything from Him, and recognizing my own sins against Him and His that encourages my increasing intimacy with Him to survive the world, country, and…[Gulp! ]…even church. The Rev. Harold F. Mante, my first mentor and home pastor before and through Confirmation Class through ordination, has been home with Jesus for many years. Yeeeeeeet, daily, I think of the best words of advice that he ever gave to me. "Be slow! Be steady! Be solid!" "Never learn how to use the ditto machine!" My covenant brothers and I spent a week with Jan and Eugene at their home on Flathead Lake in Lakeside, Montana back in October 2011. Eugene had just turned 80. I did not ask Jan's age and she did not offer it. While we're still "unpacking" that time, something happened to me beyond what was offered that rebirthed me soooooo much that I am more excited and energized for ministry in Belvidere, Illinois than I've ever been before in my entire life and ministry and retirement isn't remotely on my radar; which, I know, comes as a great disappointment to denominational jingoists and people still looking to satisfy their idolatries through religion only coincidental to a personal relationship with Jesus by the book. I'll never forget Jan's candid observation about organizational/religious irregulars, irascibles, and irreconcilables: "Some people are like farts in the elevator. It takes just one. Everyone suffers. Nobody escapes." Eugene offered so much that keeps coming to mind; and, like my first mentor's continuing influence, some words are part of my daily compass. He is a man of "primary source" and explained devotional Bible reading as "more like sucking a lozenge than gulping down a meal." He had lots to say about leadership in the church; including,..."As we do less, God does more...Pastors should never force their boards to do anything...I never tried to get people to do anything...Let 'em fail...No expectations...Lead to the water...Let go...No force-feeding...Moderate but don't dictate...Don't attend committee meetings...Don't interfere with committees...Get out of the way!..Direct/Guide/Shape/Pastor only when asked...Motivational speaking is often a sly way of manipulating...You don't have to motivate Christians!" On worship: "Simple is profound...It's not entertainment...Be dignified but not stuffy...It's about relationships more than anything else...Just do it...My role was limited to preaching, praying, and presiding at sacraments." He remains convinced vision statements and goal-setting are a waste of time; urging pastors and boards to focus on nurturing identity as God's people: "It's not what you are doing that's important; but who you are in doing it." Over and over and over again, he said, "Get out of the way!" Noting how pride often paralyzes pastoral/congregational ministries, he urged humility, trust, and submission in all relationships and especially with church boards and colleagues. We're still unpacking those jewels. While we'll never be able to catalogue or contextualize all of the blessings of that divine appointment, our lives have been forever changed for Christ's sake. I've gotten lots of good advice/counsel over the years (check out the below for more); and if I would have integrated more of it into my life and ministry, I would have honored God and helped more people more often than I have. Trying to summarize all of it, it comes down to this. Our best mentors know that; which is why their best only repeats His. “Always compare everything I say to God’s Word. My wisdom is useless. Only God’s truth is valuable…Evaluate everything any human says and weigh it against Scripture” (cf. Isaiah 5:20, Matthew 7:15ff., 1 John 4:1ff., and related texts). Whenever you hear/read anything from anyone about following Jesus, pay attention to it/them as long as the ultimate source is Jesus by the book. Within the aforementioned context, I’ve received some good advice/counsel over the years. My parents have been helpful in many ways in a Proverbs 1:8 kinda way. He is the perfect pattern for life and ministry from here to eternity by the book. The best because it’s/He’s the only Godly advice/counsel. Try our family of faith on the corner of Lincoln and Main in Belvidere, Illinois! When Wingman bought Healer from Woodstock Harley-Davidson, some unknowing heads turned because the dominant accessory theme on his steel pony is skulls. Symbols, uh, symbolize beliefs generating feelings steering behaviors. Whether it's the black sails of Pirate culture or Chris Kyle's Punisher from Marvel Comics to let Islamofascistnutballs know raising hell will be resisted by lethal vengeance or bikers' skulled tats, Ts, and chrome, skulls have been displayed without shame to warn, "Don't mess with me!" It's like our 81 friends say, "If you treat us well, we'll treat you better. If you treat us poorly, we'll treat you worse." Surely, the dark side has used skulls to symbolize their evil beliefs and behaviors. There's no need to mention the use of skulls by some of the most despicable purveyors of darkness in history. Yeeeeeeet, skulls have been a significant symbol of Christian tradition representing existential calm enabled by eternal assurance. In other words, like people wearing crosses for the right reason of honoring Jesus by the book, symbols suggesting beliefs are efficacious/authentic when behaviors match the beliefs suggested by the symbols. The same symbol can mean different beliefs generating different feelings steering different behaviors. This KD is about the light side of skulls. On the light side of skulls are women and men of faith who are not afraid of death in a John 11:25 kinda way. Wingman: "I understand many folks associate skulls with evil. I do not. We all have one after all! I think they look BA! Not fearing death is meaningful to me. Because of Jesus, I do not fear death. I have that assurance through my faith in Christ as Savior and Lord. I don't think I will be getting any skull tats soon; but I wouldn't rule it out. 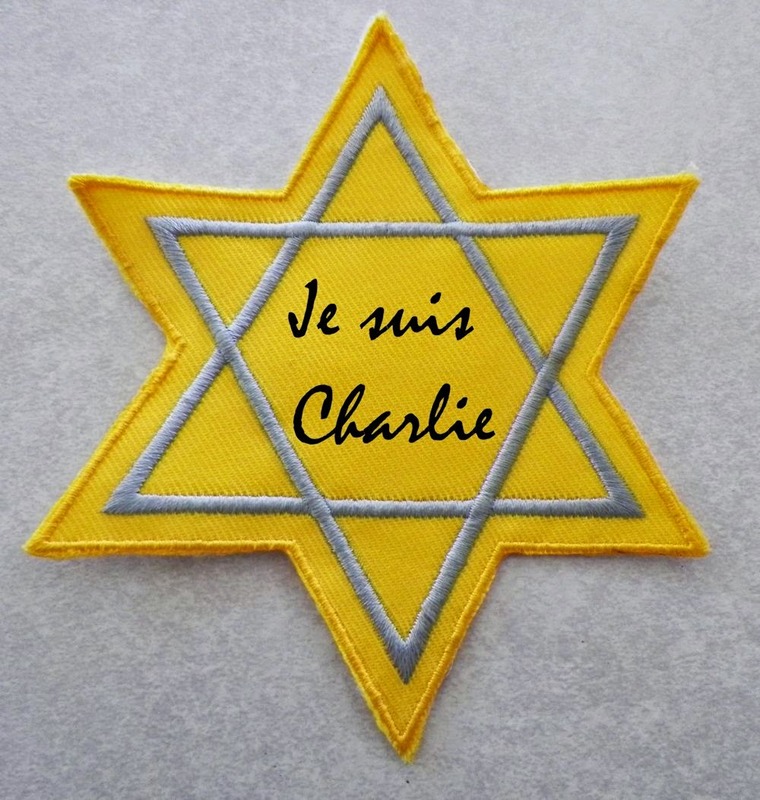 If you get your Je suis Charlie and Star of David tat, we can go together to get inked for Jesus!" A Christian wearing a skull symbolizes her or his trust in Jesus for life after life in a Revelation 21:3-4 kinda way that compels a life of gratitude in honor of Him by the book. When you know you're going to live forever with Jesus, you're not afraid to die for Him in time. Time is a speck of sand on the beachfront of eternity. Assurances like Matthew 16:24-26 come to mind. Becoming more intimate with Him decreases our fear of anyone/anything else in a 1 John 4:18 kinda way. I was skulled when I finally got Matthew 10:28. That's when I bought a "Respect All Fear None" patch for my riding jacket. Skulls can symbolize many different things for many people. It's also true that skulls have been an important symbol of lasting beliefs for Christians that have generated positive feelings steering noble behaviors. Christians are skulled when they don't fear death because of Jesus, don't fear anyone/anything else because of Jesus, and want everyone to know that strong calm sanity is available to anyone who invites Him into the heart as Lord and Savior. wrong invalidates argument and being right does not necessitate it." Bizarro World was created by DC Comics back in the 60s as an inverted parallel reality antithetical to the values of Superman, Lois Lane, truth, justice, and the American way. Looking at the globe, America, media, most churches, education, entertainment, and, uh, just about everywhere and everyone, it's the Freudian nightmare of inverted beliefs and behaviors being "reimagined" as normal and previously normal beliefs and behaviors being scorned. Frightfully, eerily, sadly, and ominously, Europe is reincarnating Germany of the 30s. Bizarro World for real has incarnated itself in a political correctness that finds everything/everyone offensive that/who resists and rebels against beliefs and behaviors once discerned as, uh, bizarre. A religion that, at minimum, degrades women and children and gays - It is a sick man's dream religion! - is not challenged by even liberated women in Europe and America because, uh, sigh, geez, gulp, uh,...uh,...uh,...I really don't know. I have chosen to confront Bizarro World. I may be wrong; but I think that's what Jesus would do. Uh, that's what Jesus did. Our youth wrote and produced this video. They get it/Him; and you may/can/should use it.